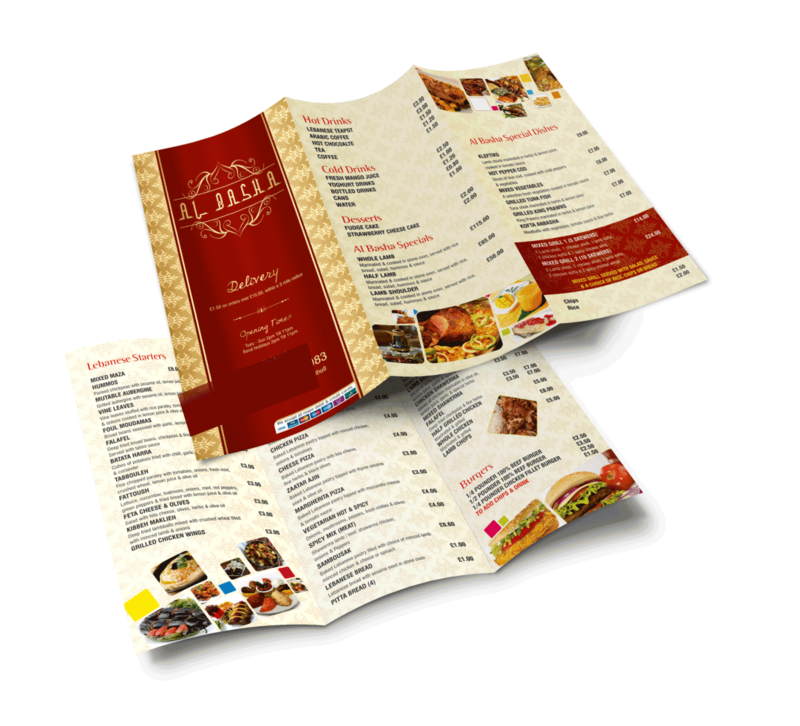 The biggest of the size in leaflet and menus and best of Big Menu and many pictures. Famous with Pizza and fried chicken restaurants for their menus. Ideal for showcasing high quality pictures and can be used as poster as well. Different fold possible. Express Service 3 - 4 working days. Standard Turn around 5 - 7 working days.